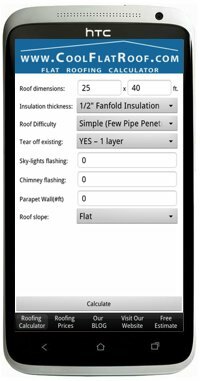 We are pleased to introduce to you our specially designed CoolFlatRoof.com app – a roofing calculator, our blog reader and free estimate submission – all in one simple app for iPhone, iPad and Android phones / tablets! 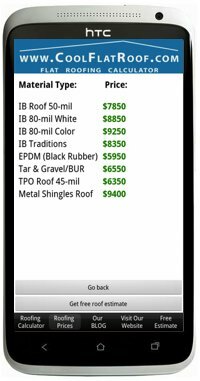 With CoolFlatRoof.com free calculator app, you can now estimate your roof replacement cost even easier – you don’t even have to go to you PC or Mac – just enter roof size and other information into the calculator app, click the “calculate” button – and voila – all prices are in front of you! 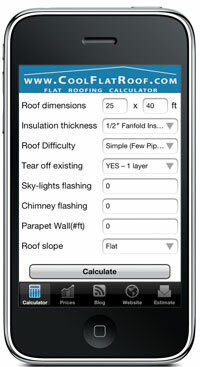 You can even fill out the Free Roofing Estimate form within the app. 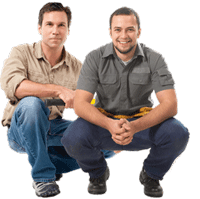 We will receive it immediately and will get in touch with you shortly to schedule roof inspection and estimate. If you live outside our service area (New England, NY & NJ), we will forward your information directly to IB Roof Systems, and they will put you in touch with certified IB Roof installers in your area.